Solid hardwood is the original wood floor. It is the wood that made prairie cabins and castle floors. Modern times may have added engineered designs to the mix, but nothing will ever replace the genuine article. Solid hardwood ages well, maintains its value, and simply has that certain je ne sais quoi under foot. Take a look at what solid hardwood flooring in Vaughan can offer your home or business and you’ll easily see why it has stood the test of time. Solid hardwood is a thick plank of timber made from a single piece and about 3/4 of an inch thick. This is in contrast to engineered hardwoods, which are planks with a plywood core and thinner layers bonded beneath a natural wood surface. Solid hardwood flooring in Vaughan offers several quality benefits to home and business owners that should not be underestimated. Firm: As mentioned above, solid hardwood is a single, thick piece of timber. This adds a level of firmness and solidity that other woods or wood-look floors can’t surpass. 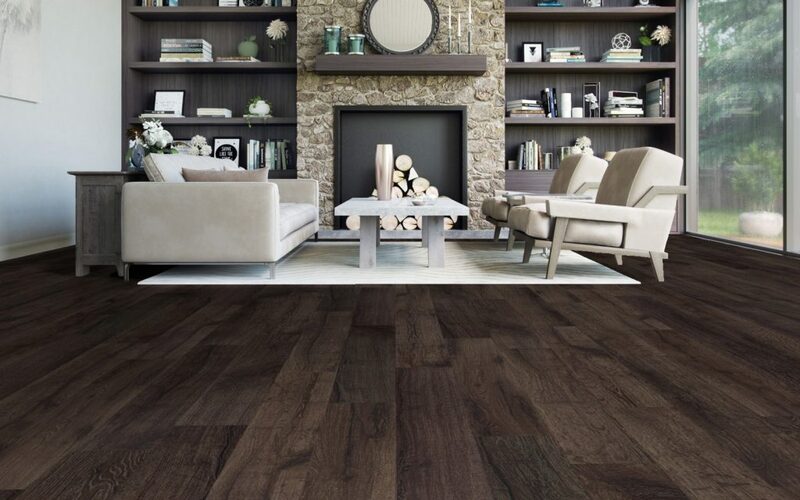 The solid feel adds strength to a room and gives a true sense of standing on wood. Value: People like hardwood floors. It’s just a fact. In addition to boosting the appeal of a home or business during your stay, solid hardwood does wonders for improving the resale value. Where Can You Use Solid Hardwood Floors? Long-Lasting: When properly maintained, solid hardwood can last for decades. This is in part because it is can be sanded and refinished several times over its lengthy lifespan. 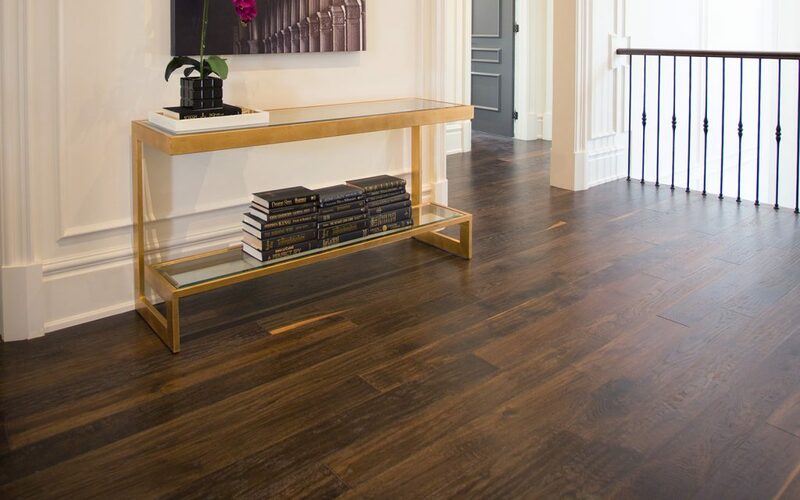 This is one of the most distinct differences between solid and engineered hardwoods since engineered wood can’t be sanded down as much because the true wood only exists on the topmost layer. Solid hardwood floors can be used in any above-grade part of the house, which usually means the ground and upper floors. Depending on your climate, it is also possible to use solid hardwood in the basement so long as moisture content is below 4%. Popular locations for solid hardwood include dining rooms, living rooms, and bedrooms. Wood falls into two broad categories: domestic or exotic. Origination:Domestic woods are things like oak, maple, cherry, etc., and are more affordable with milder colours. Exotic woods include bamboo, kempas, and anything with the word “Brazilian” attached. They are generally harder than domestic woods and have bolder colours. Hardness: All wood is fairly sturdy but each type has its own level of hardness that affects how easy it is to scratch and dent. Wood hardness is measured using the Janka rating system, where a .444 inch steel ball is fired into a piece of wood. The softest rating is Douglas Fir at 660 and the hardest is fossilized bamboo at a whopping 5000. Species: There are many, many types of wood to choose from but here are some immediate thoughts on a few big contenders. Red oak is one of the most popular choices for solid hardwood flooring in Vaughan thanks to its pink tinge, open grain, and affordability. Beech is also quite nice and can make dramatic statements with its contrasting streaks and whorl features. Maple is another contender when it comes to light woods because of its close grain and creamy colour. Bamboo, though not actually wood (it’s a grass), is also a good option and is remarkably durable.